New York, March 28 (IANS) The US has expressed concern about space debris created by the anti-satellite (A-SAT) test carried out by India and said it expected that it does not endanger others' equipment. Acting US Defence Secretary told the media on Wednesday in Miami: "Space should be a place where we can conduct business, space should be a place where people have freedom to operate" according to DefenseNews. The publication quoted him on its website as saying: "We cannot make it unstable, we cannot create a debris problem that ASAT tests create. So, thoughtfulness goes a long way." On Wednesday, India successfully fired a rocket that brought down one of its own satellites to test its A-SAT capabilities. 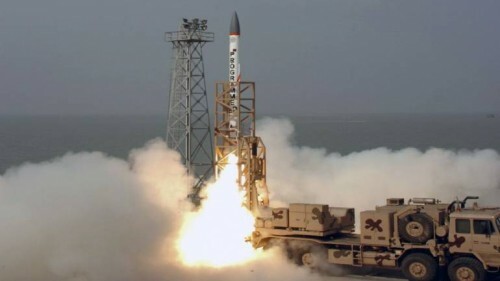 Shanahan said that India's A-SAT test showed why it was important for the US to have an American Space Force, according to SpaceNews. President Donald Trump authorised the creation of a Space Command as a new branch of the US military last month and on Tuesday nominated Air Force General Jay Raymond to lead it. A NASA official warned that deliberately destroying a satellite and creating space debris was "wrong" and there should be consequences for them. According to SpaceNews, NASA Administrator James Bridenstine told a House of Representatives commerce justice and science subcommittee that "the entire world needs to step up and say, aIf you're going to do this, you're going to pay a consequence'". If more countries start testing anti-satellite weapons, "debris ends up being there for a long time", Bridenstine said. "If we wreck space, we're not getting it back." The US military's early warning system detected the test as soon as it happened, according to Lt. Gen. David Thompson, the Vice Commander of Air Force Space Command. SpaceNews said that he told a Senate panel on strategic forces "we immediately started providing notification to satellite operators". It quoted him as saying that it did not pose a threat to International Space Station. He said the rocket launch was detected by the 11th Space Warning Squadron at Buckley Air Force Base, Colorado, and the National Space Defence Centre at Schriever Air Force Base, Colorado, and the 18th Space Control Squadron at Vandenberg Air Force Base, California, backed it, according to SpaceNews. "No other nation or other military, or civil agency could have detected, characterised and warned" about a development like that, he said according to the publication. The US has itself carried out ASAT tests starting in 1959. It destroyed a spy satellite that had malfunctioned using a ship-launched missile in 2008.